We had a good launch of sketchnotes Twitter Chat called #SKNTchat on Saturday, June 29th. Instead of going through all the written language text copy. I am just posting it here for viewing. 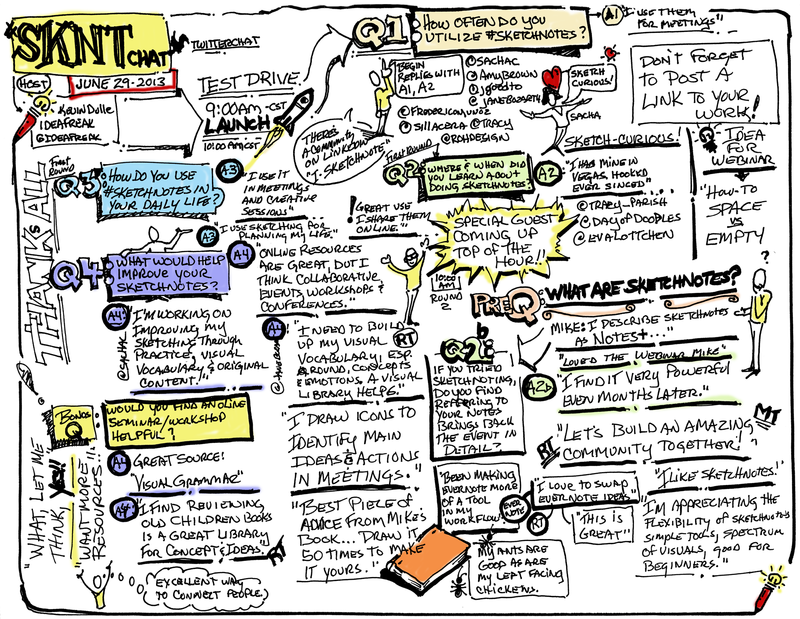 A sketchnote of Sketchnotes Twitter chat.